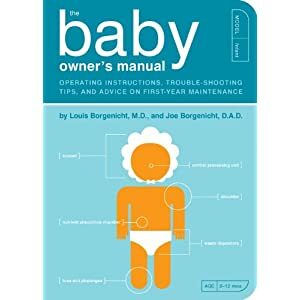 This fun little book comes with ‘operating instructions, trouble shooting tips and advice on the first year of ‘baby maintaince’. Definately for a man who is more into cars than babies! 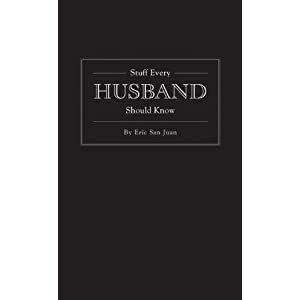 This owner’s manual style book is written by 2 male paediatricians, totally geard towards blokes, It is very funny has wickedly amusing drawings and has lots of very useful information, particularly for a first time dad. It covers massage to breastfedding holds and every concern you could imagine. It’s simple, straightforward and undaunting,. An excellent little book on childcare. 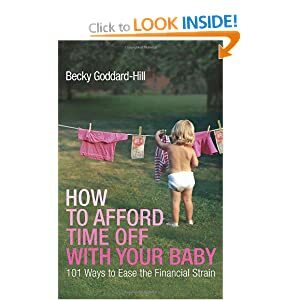 My own book all about budgeting from pre-pregnancy to pre-school. Based on my own experioence so of being a SAHM on a low budget and with all the advice and infromaton I found a long the way. This book is a comperehensive look at budgeting with a little one written in a very easy to read manner. It covers having a lovely pregnancy , baby gifts, hospital bags, nappies , playdates, birthdays, Christmas, making money saving money, treating yourslef well and much more. It also contains a comprehensive resource bank to signpost you in the right direction for benefit helplines, debt support, baby classes, etc. A little black book filled with fun advice such as how to give a good compliment, how to bet on horses and how to give a great massage. So some useful some not so…! 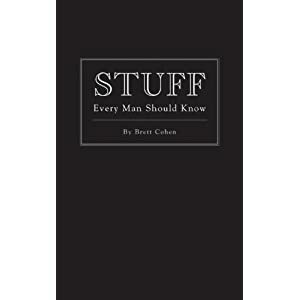 It is funny, useful and a great thing for a man to have in his pocket for a quick something to read. This is all the stuff they should know but probably don’t. Easy to dip and out of this pocket size hardback is an absolute delight. Massage and compliments? I am having my partner read this s asap! Phew. Thats it ! What a lovey bundle of books. To win this selection of boooks simply tell me why you love to read. Comp ends on fri 25rth at 8pm. Winner chosesn at random by Babybudgeting. Oh and if you like my facebook page as well as leave a comment that counts as 2 entries. Good luck! i love reading, i find it really relaxing when i get the time. It is a good way to unwind before going to bed, beats watching the television. Great selection of books in your competition! I love to read because I can escape to anywhere inside a good book …. for a short while. One of the reasons why I love reading books is because I started early. Truth be told, I have always been a reader for as long as I can remember. As a matter of fact, ever since I was around 2 years old. My mum was the first person who introduced me to my love as she encouraged me to start reading books by bringing home a a different book for me every week. The first book I remember reading on my own was a book about how to tell time. To this day I still tell my mum that she is the reason I love reading books so much . I remember being fascinated by books even while reading the books that came in the simplest forms, such as one word books. I would pick up a picture book with a few words here and there and from then on up until now, I was hooked on books. As a matter of fact, I used to love reading books so much as a child that I would beg my mum to take me down to our local ‘Park Book shop’ or library so we could buy or borrow more books ! I think the reason I love reading books so much is because in my opinion, reading is an almost magical thing and to be honest, I find it quite enjoyable as well as relaxing. If you sit down with a good book to read, it is as if you can go to an entirely different world, and be in a world of your own for a few hours. When you’re so deeply engrossed in a book, you’ll notice that books have that amazing ability to transport you, evoking different feelings of sadness, joy , anger e.t.c,- it just all depends on what you are reading. Books can also be the source of creating memories in your life and even at whatever stage you may be in your life, reading a good book can help you deal with life quite a bit. The books I love to read normally read consist of novels (specifically dramatic novels and thrillers), inspirational biographies e.t.c, now that I have a Kindle, I read ebooks mostly, but always pick up a pysical paper novel or book from time to time. I love to read because it uses your imagination. Reading engages the mind and takes you to far away places. I love to read as it is a great way to escape whatever is going on in my life. I can forget about any troubles and worried and just imerse myself in another world. It helps me to de stress and relax, which is also good for the rest of the family. I always have a book on the go and read a chapter or few every night before I turn my light out as it helps me to relax. As well as being an excellent destressor, reading releases the imagination and lets you escape into other dimensions irrespective of the subject matter. It educates, It stimulates and it can evoke a plethora of emotions. To be deprived of reading is to deprive a soul of its substance! Reading allows me to escape into a different time and place for a little while and stimulates my imagination. It is also a great way to learn new things. I love reading, it’s a chance to escape from normal life and dip into the lives of others, whether factual or fantasy. For me there’s nothing like relaxing in the bath with a good book …. absolute bliss! I love to read because it’s a form of escape and instantly relaxes me. I read to find out more about the world I live in and the worlds I don’t. I read to escape and to help me stay grounded. I read to put myself in impossible situations and to find out how to deal with them. I read to learn, to relearn and to unlearn. I read because I think, because I breathe, because I am, because I can. I can’t imagine not reading. To be honest my whole life has revolved around books and reading. I’m so passionate about them that I did an English degree and then became an English teacher. Reading a good book is like having an amazing a dream which was do vivid you thought it was real! I love reading because usually it’s relaxing and escapist. On the other occasions I’m learning interesting stuff. I love to read because it helps me to forget any problems I may have. I often forget where I am while I am reading. There’s nothing more relaxing than curling up with a good book and forgetting about the housework. I love it. I love reading as its an escape. Reading can lift you, make you humble, make you greatful, very powerful, you just need to find the write book. Please enter me into the drawers, looks like a great selection of books. I have lived my life with books by my side – it’s such a beautiful pastime and one which I have already pssed onto my daughter, and she’s only 4 months old!! I love to read as it takes you into another world that you just can’t get into through tv or film. There is nothing quite like a good book. The problem is finding the time to site and read. I only ever have time on holiday and it’s been a while since I’ve had one of those!! I love to read for information , connnecting to other peoples experinces, pure escapism, fun and thought provoking. Some people take a teddybear to bed I take a book. I love to read as it’s a big key to the other worlds or different pespectives of life. There are many discoveries to be had and things you can learn and understand you never really thought about in that way before. I love to read because my late mum was right when she said I would never be lonely if I had a book to read. I read to stimulate life, learning, laughter and to understand others and myself better. Reading is something to luxuriate in whenever and wherever the mood takes you. I love to read in front of my family so that they too will have that legacy of a deep love of books that will stand them in good stead for life. I love to read for its escapism in fictional books and in non fiction its to get other view points on subjects and to see things from antoher point of view. Reading is a way to share special time with my kids and also an escape from the world when they’re all in bed! Reading is a way to travel to other places and live different lives sometimes leaving you not sure who you are by the time you’ve finished the book! I love reading just for the joy of reading! There is nothing like putting your feet up after a long and busy day with a cup of hot chocolate and a bar of chocolate and disappearing in a good book for an hour or two before bedtime! I read anything – fact, fiction, romance, thriller, horror, poetry……I just love reading! I love to read cos when you get really immersed you can really get lst and nt think about anything else – it’s such a nic chance to escape from reall life for a bit! I love to read because with just 26 letters and a handful of punctuation it is possible to convey thoughts, dreams, instructions, fantasy, knowledge, humour, ideas… the possibilities are endless. I love to read to relax, and also to gain knowledge and understanding. But then reading with my baby helps him learn and develop language. I have just liked your facebook page. I love to read as an escape from our busy world. I love to read because I love to absorb myself in a good book and forget about everything else. It’s relaxing. I like to read both fiction and non-fiction. I like reading fiction as I can completely immerse myself in the book and it is total escapism, however not always relaxing if it is a fast paced book I find myself racing through it! I also enjoy non-fiction as I love learning. We are going to start trying for a baby after our wedding this weekend(!) so I need to learn a lot about this subject!! I love to read non fiction to ‘expand my world’ and learn new things, but I like to read non-fiction to escape into someone else’s world for a while! As long as its in a book it go’s! I love everything about reading. I love browsing in bookshops, touching new books and get really excited about starting a new book too! Reading means an escape into fiction land, where I can really get involved in the plot and half the fun is wondering what is coming next. I can pretend I am a character in the book and take it from there! It relaxes me too. Am a fan of your Facebook page too! Reading, for me, is a way to escape the din and the chaos that is my family. I like to take myself off into the bath with a cuppa and a good book, lock the door and disappear into whatever world the author has created. I love reading while commuting – it’s like creating my own little world where I can forget about the stresses of travelling on a crowded tube train. I really hope my kids inherit my love of books, and we do lots of reading at home and at the library, too. I love to read as an escape – there is just nothing else like it! These look like great books, one of my best friends is pregnant, she’d be delighted. p.s. I’ve liked your facebook page, (natalie holland) Thanks! It helps me to relax especially if I’m reading to my daughter. I like to read because you can transfer yourself into another world or life & forget about all the poop going on around you! I love to read as it is such a lovely escape. I like reading because it means I am tucked up in bed all warm and cosy and I can finally relax! I don’t just love to read, I HAVE to read to keep me sane! With four children ranging in age from fourteen to twelve weeks I read to break the day up a bit and to help re-integrate me back into ‘adult’ life! I love to read…but my main reading time is on holiday. At home I there never seems to be enough time in the day and I get so easily distracted by the blogs and forums on-line! I have to admit most of my reading is light chick-lit atm..and cookery books. it’s just such an escapist thing to do..totally relaxing like no other thing. I love to read because it is one of the few ways that I can escape from everyday life. I read on the train on the way home from work, and for me, picking up my books signals the end of the day and immersing myself in it allows me to forget the day’s stresses.